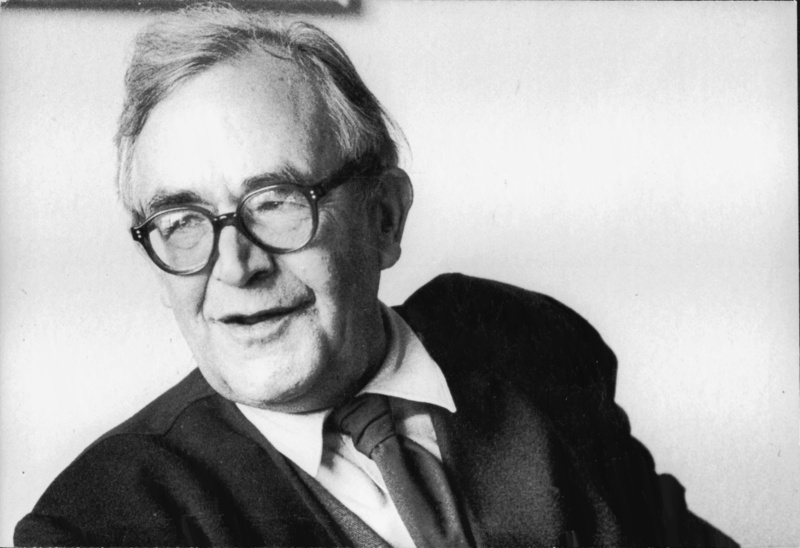 Following are selected quotes from Barth's short, but helpful book (Fortress Press edition, 2003). 'Follow me' is [Jesus' call] to discipleship... Easily the best that has been written on this subject is to be found in 'Discipleship,' by Dietrich Bonhoeffer (pp. 1-2). Following [Jesus] as [his first disciples] practiced it... had both an inward and an outward limit... They [accompanied] him wholeheartedly and constantly, sharing his life and destiny at the expense of all other engagements and commitments, attaching themselves to him, placing themselves in his service, and thus showing that they are qualified to be his disciples; not as though the messianic salvation is ascribed only to them, or even to them in particular, but as those who particularly attest and proclaim it. Their qualification as disciples, and therefore discipleship...is a gift, a 'being fit' for the kingdom of God (Luke 9:62), a capacity with which they are endowed (p. 5). The call to discipleship is the particular form of the summons by which Jesus discloses and reveals himself to individuals in order to claim and sanctify them as his own, and as his witness in the world. It has the form of a command of Jesus directed to them. It means the coming of grace, for what is disclosed and revealed in Jesus is the reconciliation of the world with God... and therefore the fullness of salvation. But as it encounters them in this summons, grace has the form of command... The grace that comes to them requires that they could do something, i.e., follow Jesus. It is thus a grace that commands. Jesus is seeking people to serve him. He has already found them to the extent that he has elected them as ordained to this end. They are already his people even as he claims them. He thus establishes his particular relationship to them by commanding them. He does this in his authority as the Son of Man who is their Lord... Jesus is already the Lord of those whom he calls to follow (pp. 7-8). The call to discipleship binds a person to the One who calls him. He is not called by an idea of Christ, or a Christology, or a christocentric system of thought... We must be careful that we do not conceal the living Jesus behind such schemata... Discipleship is not a recognition and adoption of a program, ideal or law, or the attempt to fulfil it.... If the word 'discipleship' is in any way used to denote something general and not a concrete and therefore a concretely filled-out event between Jesus and this particular person, the command 'Follow me' can only be described as quite meaningless. For the only possible content of this command is that this or that specific person to whom it is given should come to, and follow, and be with, the one who gives it...That a person should come to him is the one complete work that one is called to do. We may say, therefore, that in practice the command to follow Jesus is identical with the command to believe in him (p. 13). His summons is... that they should give to him... a true and serious and total faith: not a mere acceptance of the fact that he is their Lord nor an idle confidence that they are helped by him; but... acceptance and confidence as faith that is lived out and practiced by them; a faith that is proved to be a true and serious faith by the fact that it includes at once their obedience - what Paul called the "obedience of faith" in Rom. 1:5 and 16:26, and "obey Christ" in 2Cor. 10:5... Faith is not obedience, but as obedience is not obedience without faith, faith is not faith without obedience. They belong together... (pp.16-17). [Obedience of faith] always involves the decision of a new day; the seizing of a new opportunity that was not present yesterday but is now given in and with the call of Jesus. Inevitably, people who are called by Jesus renounce and turn away from themselves as they were yesterday. To use the important New Testament expression, they 'deny themselves' (p. 20). Self-denial in the context of following Jesus involves a step into the open, into the freedom of a definite decision and act in which it is with a real commitment that [that] person takes leave of himself or herself, of the person of yesterday, of the person she or he was; in which one gives up the previous form of one's existence, hazarding and totally compromising oneself without looking back or considering what is to become of herself or himself, because what matters is not now oneself but that one should do at all costs that which is proposed or demanded, having no option but to decide and act in accordance with it - cost what it may... It is a matter of doing that which is proposed to us by Jesus... What Dietrich Bonhoeffer calls 'simple obedience.' Obedience is simple when we do just what we are told - nothing more, nothing less, and nothing different... This alone is the brave act of faith in Jesus (pp. 24-26). ...What does it mean to follow [Jesus]? What is commanded is obviously that we should come to Jesus; that we should believe in him as God; that [we] should believe in God by believing in him; that we should trust him wholly and utterly; that we should be willing and ready, therefore, for every hazard or venture or sacrifice that in a given situation might prove to be necessary to confirm this trust... Obedience [to Jesus] means an inward liberation from everything in which we might otherwise put our trust... We are free... to do that which is explicitly commanded. But do we have to do it? No, for that would be a legalistic interpretation of the command. [Rather, we are called to] the obedience of faith... grateful appropriation of the salvation which comes with Jesus' call to discipleship (pp. 28-29). If we will not bear the yoke of Jesus, we have to bear the yoke we ourselves have chosen, and it is a hundred times more heavy (p. 33). We lose our souls, and hazard our eternal salvation, if we will not accept the public responsibility which we assume when we become disciples of Jesus (p. 42). The commanding of Jesus' [original disciples] does not establish... an action that is normative for all his disciples in every age and situation.... There is only the new commanding of Jesus in its relationship to this particular person elected by him and in this particular time and situation... This new commanding of his is the concrete form in which he calls these people, here and now, to discipleship, and therefore sanctifies them (pp. 46-47). [A wrong interpretation of the Gospels] led to the mistaken attempt to create out of these directions a new law... a general mode of Christian action in opposition to that of worldly action. This truth is, however, that what the Gospel sayings about the following of his disciples really preserve [for us] are certain prominent lines along which the concrete [and personal] commanding of Jesus, with its demands for concrete obedience, always moved in relation to individuals... And the lines recorded in the Gospel[s] all agree that person is always called to make a particular penetration of the front of the general action and abstention of others; to cut loose from a practical recognition of the legalism determined by the dominion of worldly authorities (pp. 48-49). We have to hear [Jesus'] voice as he speaks to us, calling us in the particular situation of obedience determined by his Word. It is not enough... merely to copy in our activity the outlines of that in which [the early disciples] had to obey his demands... it might well be disobedience to be content to imitate them, for if we are to render [to Jesus] simple obedience it must be to the One who... calls us today... What we find along these lines [of Jesus' will and way] can never be a mere advice of the gospel. It is always a binding mandate of the gospel that demands the response of a corresponding decision and action" (p. 71). Our Christian walk is a dynamic walk that requires us to listen to what He is asking of us today. That is a challenge! That requires that we be intimately walking with Him. That is REAL DISCIPLESHIP! Obviously this does not mean rejecting the doctrinal teaching they gave us, but it does mean listening to how He wants us to do discipleship and ecclesiology today. What an exciting, dynamic life we have been invited to experience!